THOR Rev. 2.0 Premium-Light : please select your option. 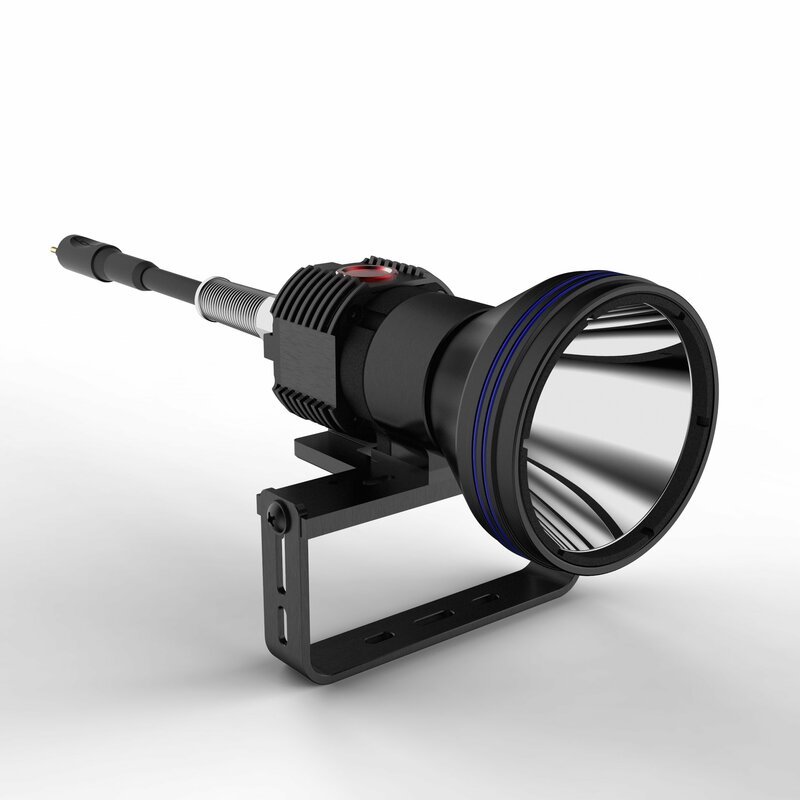 We would like to give you a close look at the inner core of our primary light: the lighthead itself with it's high efficient power plant inside. We call it the "Lichtkraftwerk". It is fully replaceable under water, which many other LED Lights can't do so. The tube is also specially made for this light. It is a special kind of Borosilicate Glas designed by Schott Duran. It is ultra clear, highly resistant against changes in temperature and highly resistant against impacts. The electric is being isolated from the LED. So no water can flood into it, if the tube breaks anyhow. The power plant is fully programmable. It is designed to work constant with LED's up to 100 Watts. So it's easy for it to work on a LED with only 30 Watts in it's maximum. It's extremly power-saving. as you can read in the essential facts. You can use all E/O Cord equipped batterypacks and canisters available at the market from the main technical diving companies together with our primary light. The most important thing is: It is ultra bright and extremely powersaving. At it’s lowest level the power consumption is only 8 Watts. But it shines even brighter than a 21W HID Halcyon light. At full power you have the brightest light at your side that is available at the market. So everything is at your choice.